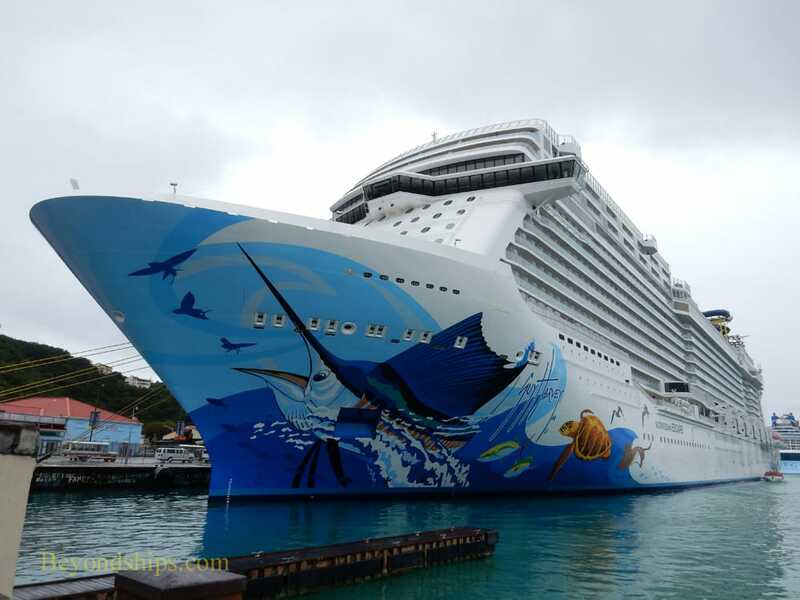 Norwegian Escape is no stranger to St. Thomas. 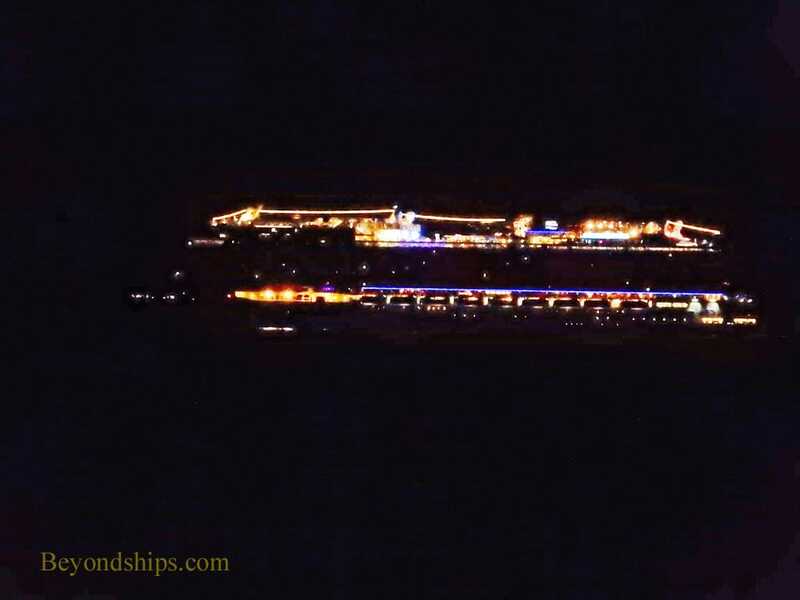 Indeed, in her first year of service, she was there almost every week. 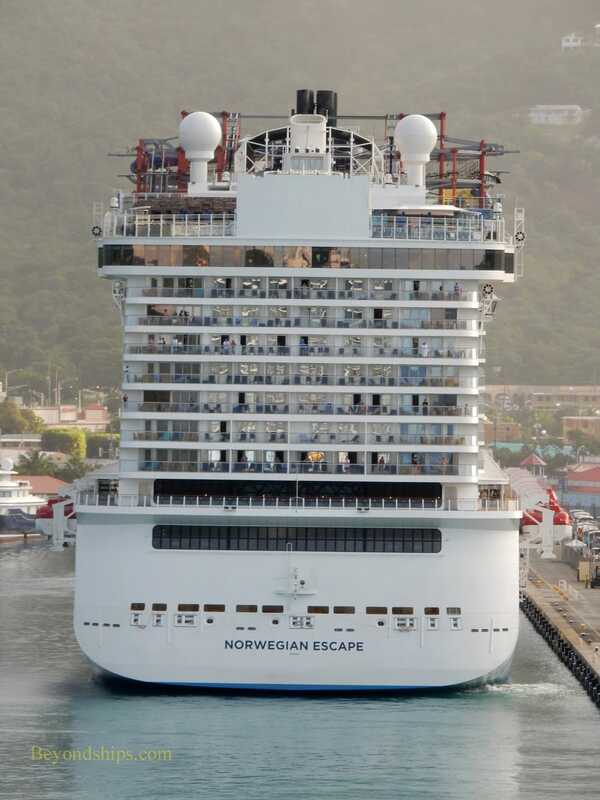 ​Escape usually docks at the Havensight Cruise Terminal across the bay from Charlotte Amalie. 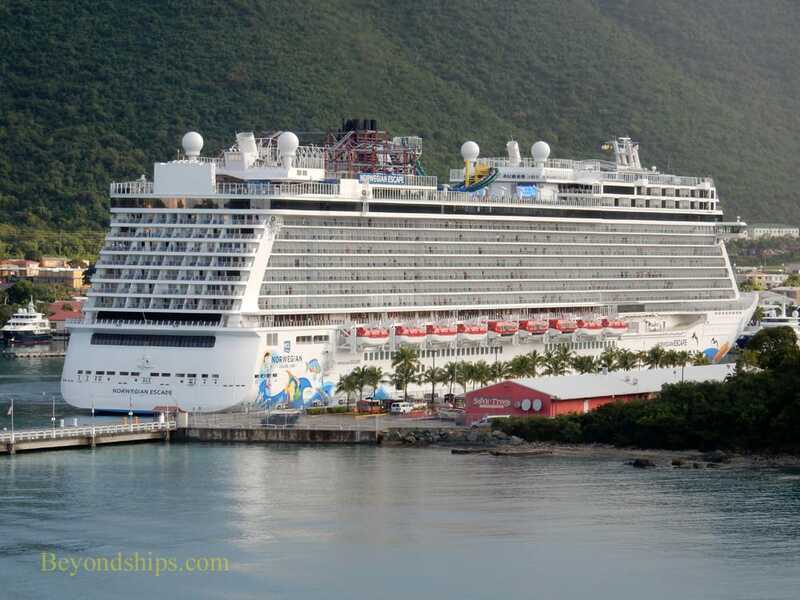 On this occasion, she is the first ship in the line of cruise ships docked at Havensight. 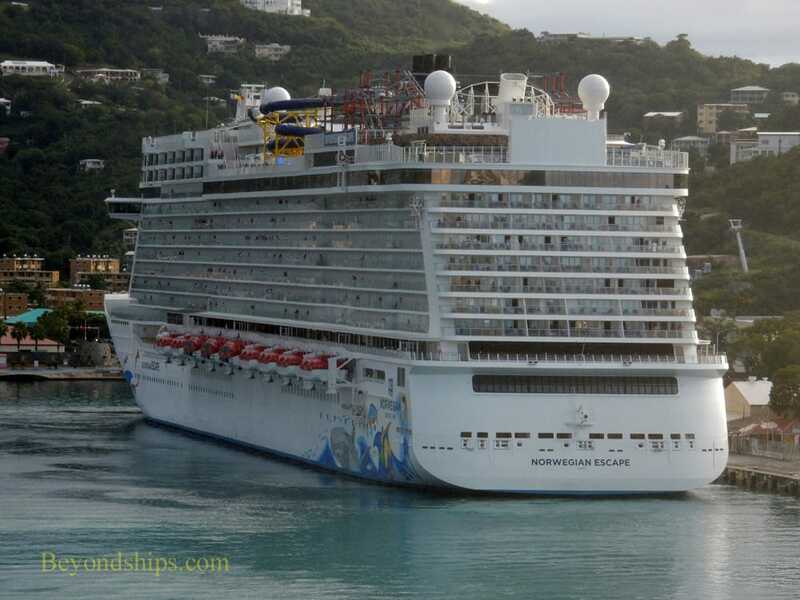 Consequently, people walking to Charlotte Amalie from Havensight pass almost under her bow. 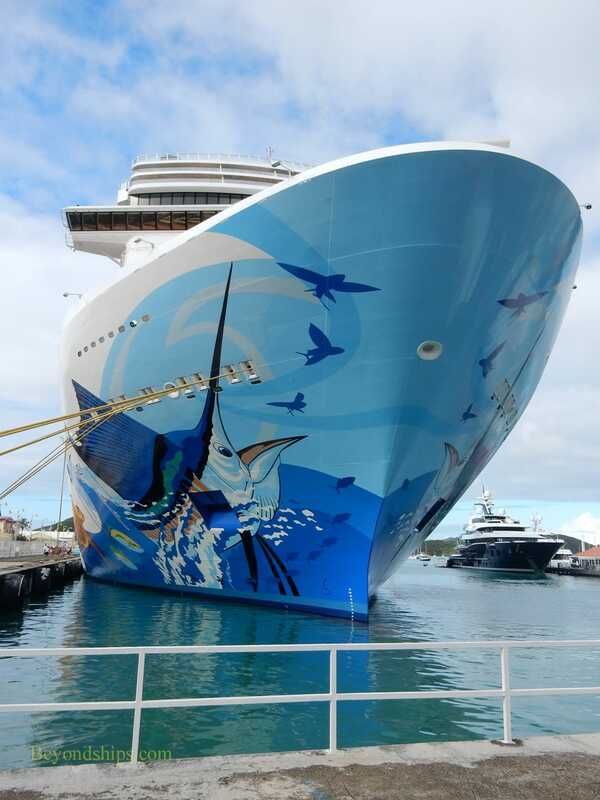 This gives a good view of her powerful lines and the mural painted upon her hull. 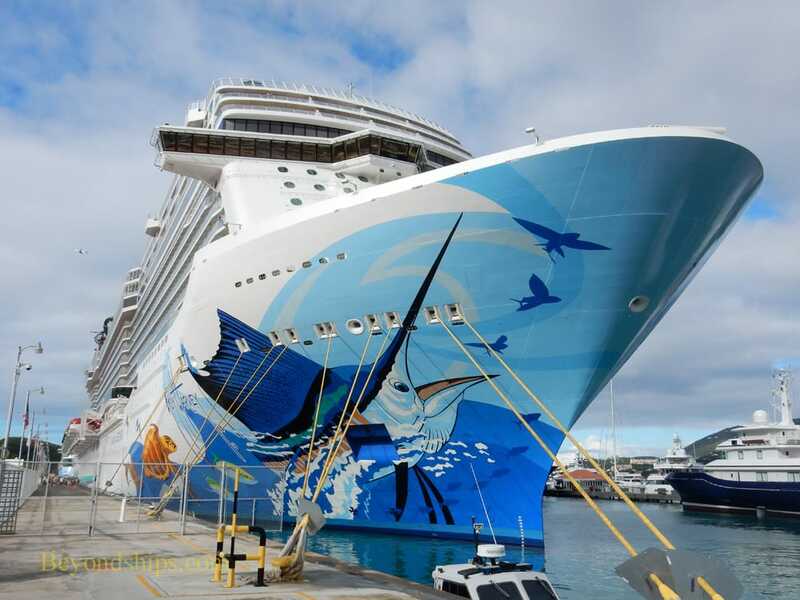 Of course, Norwegian Escape does not spend all her time in port. 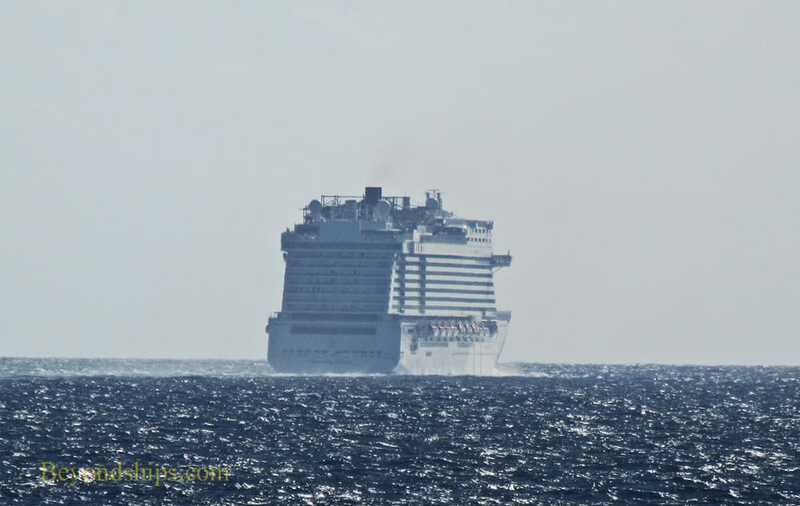 Here, we see her cruising through the Caribbean. 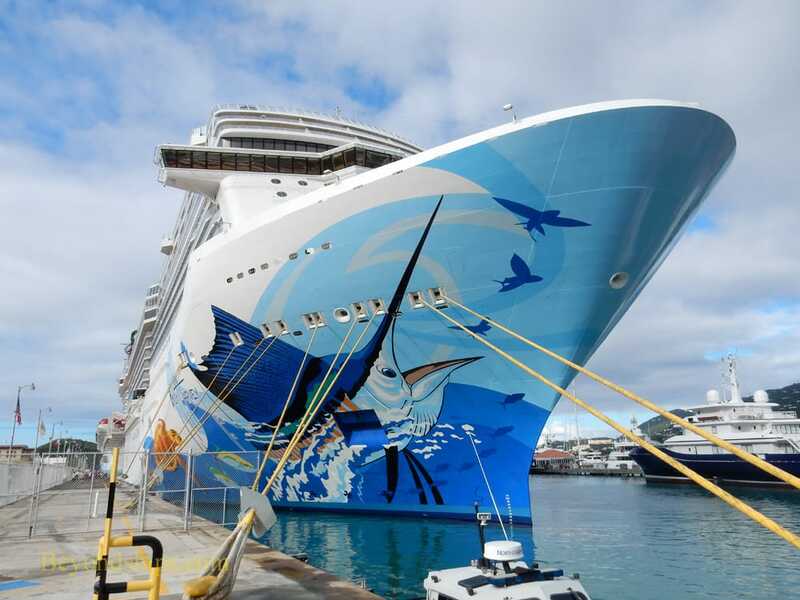 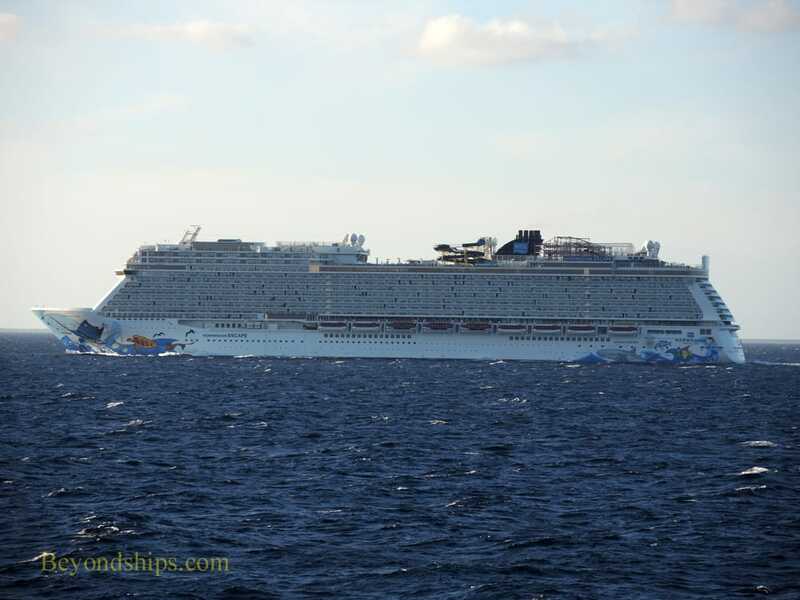 Click here for a video of Norwegian Escape at sea.